Pick up time is from 05:00 - 05:30 hrs. 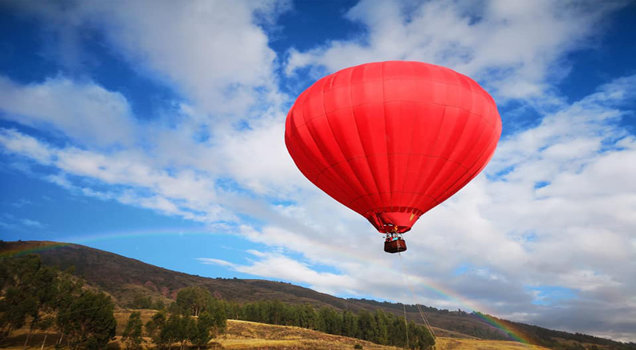 of the hotels located in the monumental helmet or the Cathedral door, to move to the flight area in the pampa de anta (Fundo Recreo) where the last instructions are given so that visitors can see the inflation of the balloon and later participate in the captive flight that takes place in groups by affinity of 3 to 4 people, considering that the process of each flight lasts between 15 to 20 minutes, then a toast with champagne is celebrated to celebrate the flight and special occasions as requested by Mano , birthdays among others etc. and a picnic breakfast is shared, the experience ends in Plaza San Francisco at 10:00 hrs. IMPORTANT: The weather conditions are a condition for carrying out the flight, with the pilot making the final decisions in favor of safety, which will be final. 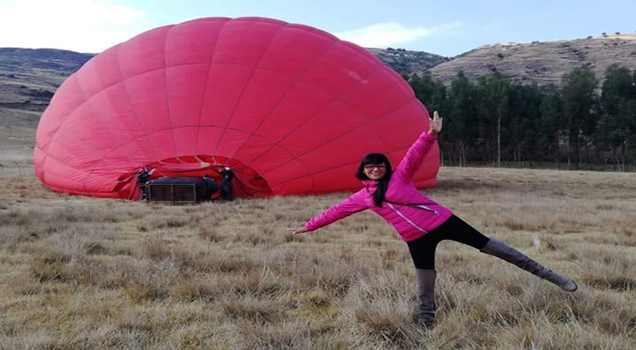 In this case, the flight date is reprogrammed and, if it does not coincide with the OBLIGATIONS OF PASSENGERS / Agencies, they must sign a risk sheet before boarding the balloon according to the Adventure Tourism regulations. Captive flight (anchored to a vehicle) to 328,084 feet SNM. Transfers in private vehicle Cusco - Flight Zone - Cusco.